Here in Arizona, spring is pretty short. But that doesn't mean we don't go searching for some great local beer to keep us busy (and hydrated) as spring training ends and we ready ourselves for the unforgiving summer heat (hello, 100 degrees). To celebrate the spring season, we turn to our local breweries, the ones churning out great beer after great beer using everything from ginger to grapefruit to guava in order to keep us happy. Here’s what's on tap this season around the Grand Canyon State. 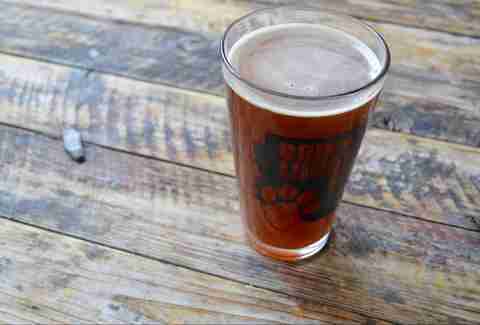 Uncle Bear’s Brown Sugar Amber Ale is a crowning transition from Arizona’s winter season (or lack thereof) into spring. Light, and even a little bit malty, this favorite springtime brew is made by mixing caramel and brown sugar. And with a 5.6% ABV, a few rounds of it won't kill you. 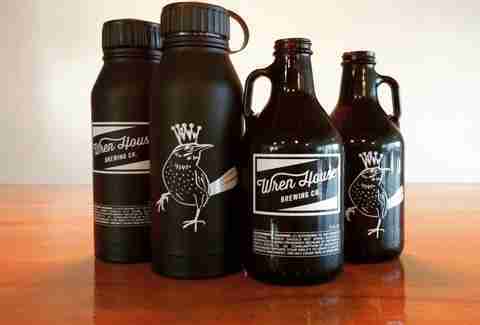 A newcomer to the AZ craft scene (and already one of Arizona’s best breweries), Wren House is also pouring some of spring’s most favorable beers. 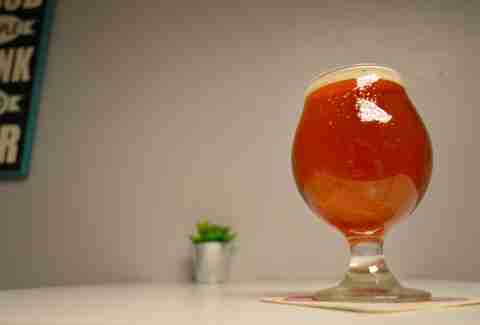 The Rose Gose is a low-alcohol, salty gose that’s an ideal choice for the warm weather. The brewery is putting its own spin on the style by adding hibiscus flowers, rose petals (so pretty! ), and aging the beer in Chateau Tumbleweed red and white wine barrels, giving it a flavor that’s a bit oaky, incredibly drinkable, and all-the-way local. 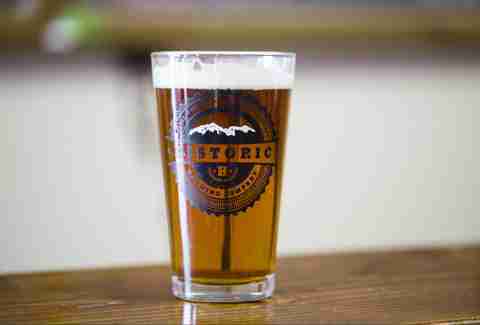 To celebrate the season’s equinox and all things spring, Flagstaff’s Historic Brewing Company has released a dry hopped beer brewed with Equinox hops -- giving it a slight green pepper aroma alongside some tropical, citrusy tastes inside. With that, the beer holds just a touch of grapefruit and guava on the finish. We know what you're thinking: Flagstaff?! Well, trust us, this beer is worth the drive… especially because it’s only available at the brewery. Most people wouldn’t think you’d find our best craft beer pouring in a strip mall. But seriously, this is Arizona... are you really that surprised? 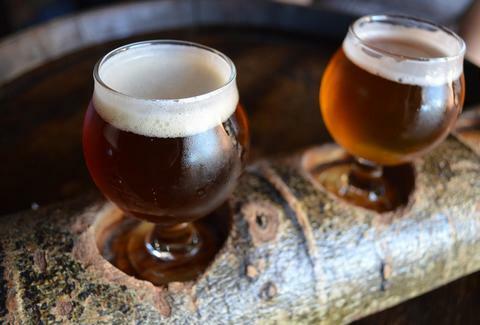 Arizona Wilderness is always tapping something interesting in its tasting room. And this spring, it’s the Tres Alamos Tripel, a drink that combines both banana and pear notes with pilsner malt and abbey ale yeast. The whole process results in one hell of a full-bodied springtime favorite... and a grand ol' time for us drinkers. There are two things you can expect at The Perch: great beer, and a lot of birds -- yes, we said birds. The brewery is actually home to dozens of rescued exotic feathered friends. But aside from that, it's also home to some great pours, like this season's Ginger Mofo, a blonde ale with just the right amount of ginger. 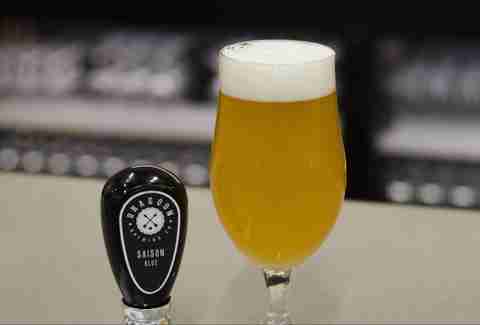 But if you look at the brewery's site, the beer has enough ginger to "launch a rocket." Well, we don't know about you, but we'd take some time this spring to head on over and jump on that rocket. 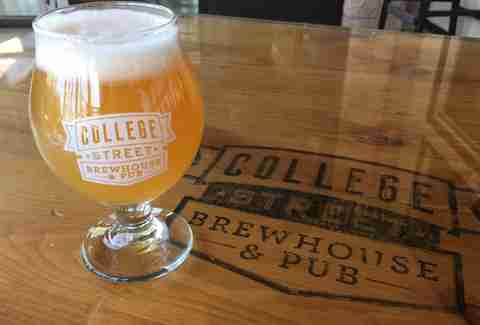 College Street’s new spring seasonal, V. Beauregarde, is a real win for the brewery. It’s an unfiltered blueberry sour ale that’s smooth all the way through. Unfortunately, it's a brand-new release, and won't be made available to the public until Scottsdale’s Ameri-Can Beer Fest takes place mid-May. This spring seasonal was specifically recommended by Huss Brewing’s bossman, Jeff Huss. It’s a double IPA that has a pretty high ABV and is brewed specifically for spring. While it’s currently available at the company’s brew house in Tempe, it unfortunately won’t be around for long: the brewery released a couple batches of barrels to be distributed on tap only for the season. Once the kegs run out, that’s it. Available at the Cottonwood and Pine locations, THAT Brewery’s Strawberry Blonde is one of our favorite spring beers in Arizona. It's a full-bodied blonde brewed with European hops, and has a light strawberry finish that makes it ideal for sipping on a warm day. Move aside, Florida: you’re not the only one known for your citrus anymore. 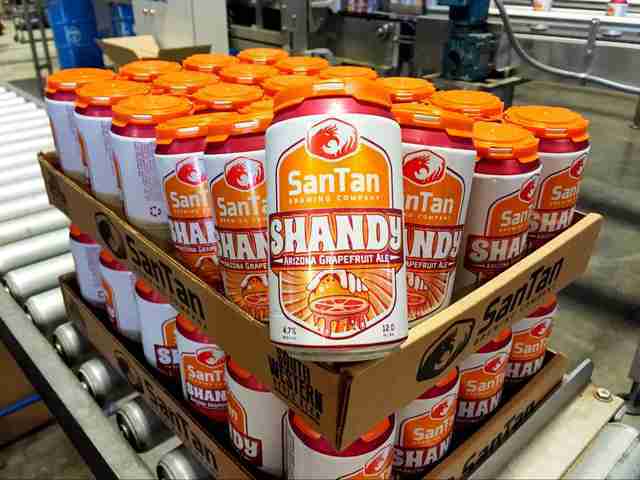 SanTan Brewing used local AZ grapefruits to produce one hell of a springtime shandy. Sure, the blend definitely tastes great on its own, but we really don't think anyone would argue if you were to choose it for a weekend beer-mimosa. 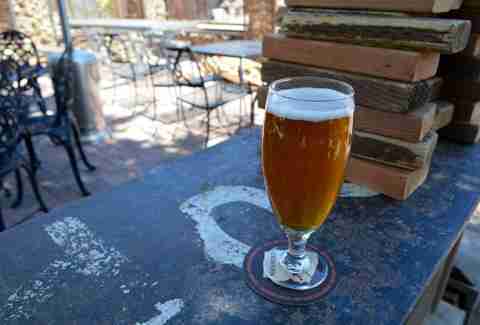 Tucson’s Dragoon Brewing Company is really mixing things up when it comes to the Saison Blue. The company decided to incorporate some new-school brewing twists to make it, like using regional ingredients such as blue corn from New Mexico and blue agave nectar. It was then dry hopped with American and European hops. The brewers opted for this local approach instead of brewing it in the style of a traditional Belgian farmhouse ale. Lauren Topor is a Phoenix writer who’s a big fan of the beer-mosa. Follow her to brunch and breweries on Instagram and Twitter.